Plants provide us with food and fuels; those under threat of extinction might provide tomorrow's health cures, or the nutrition to stave off world starvation. 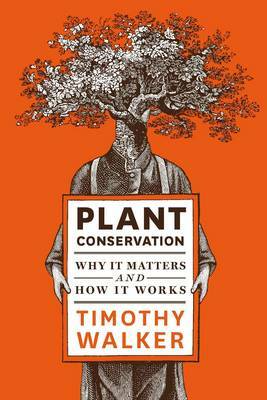 Botanist Timothy Walker explains how we can all make a difference by adapting our behaviour as gardeners. For example, growing natives plants, not using peat and choosing to include threatened plants in our gardens are three ways to help the GSPC achieve these goals. In engaging prose peppered with wit, Walker deftly describes local and international initiatives underway to tackle environmental threats before it is too late. Best of all, this book inspires us to take more care of plants not just because we need them to survive but because it's the right thing to do!